From artist Bryan De Grineau. Circa: 1931. Original watercolour painting with pastel and highlight in white by Bryan De Grineau. Signed and dated by the artist. 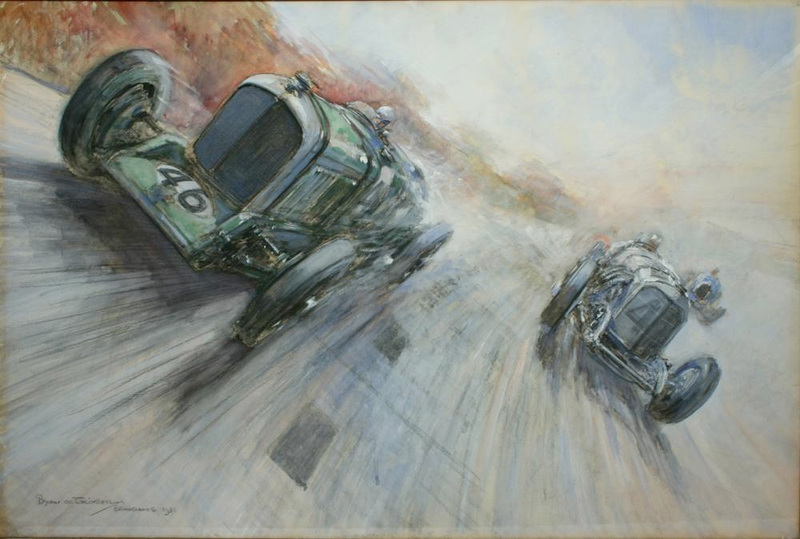 This painting depicts the 500 mile race of 1931 at Brooklands, Jack Dunfee in the winning Bentley passing Zehender\’s Mercedes. The winners average speed, 118.39 MPH. (Record for distance). The painting was commissioned by Jack Dunfee at the time. 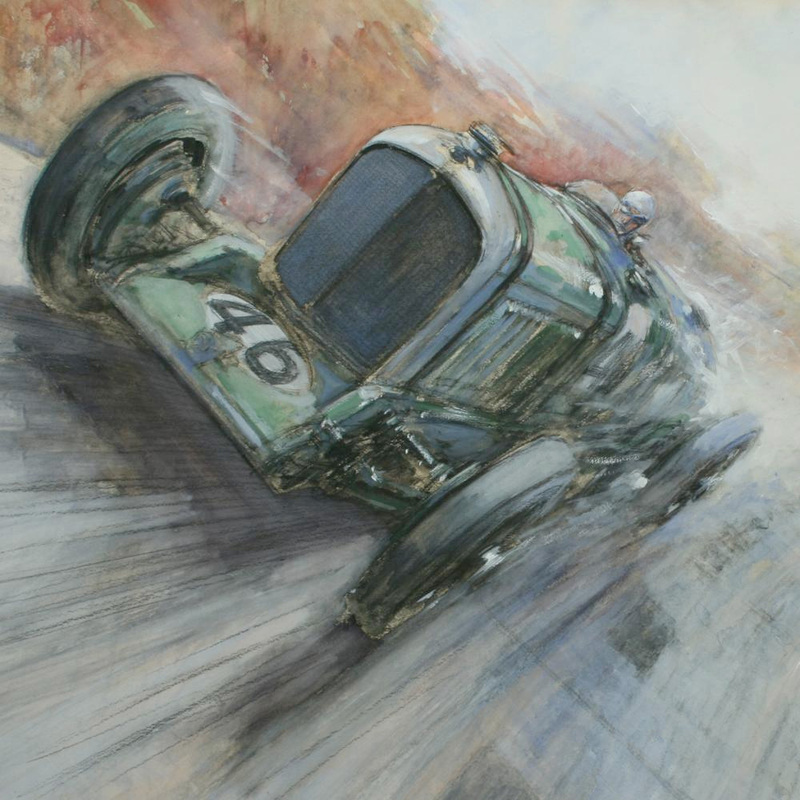 He commissioned quite a few paintings from Bryan De Grineau, all of historic importance as they all depict a moment in time of motor racing. Bryan De Grineau (1882 – 1957). De Grineau joined “The Motor” as John A. Bryan in about 1905. He illustrated for the magazine until 1939. De Grineau is an old family name he adopted as professional artist. He and Gordon Crosby where probably the best motoring artists at that time.